1.9-foot coiled cable tames cable mess. Step right up and get in line for this product by placing your reservation now. We fill orders on a first-come, first-served basis. D-Tap. Nowhere near AC power? No worries. 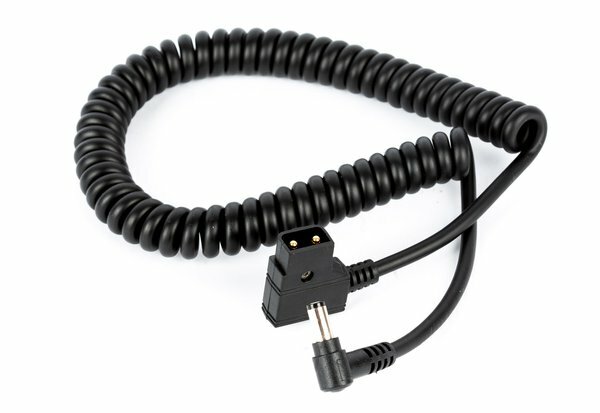 The Fiilex 1.9-foot Coiled D-Tap Cable lets you power the Fiilex P360 Pro Plus via large-capacity batteries like the Anton Bauer Digital 90 Gold Mount and Digital 90 V-Mount. How to Use It. This isn’t a trick question; it’s a suggestion. The D-Tap cable itself is 1.9-foot when uncoiled, so make sure you’ve got a solution close!